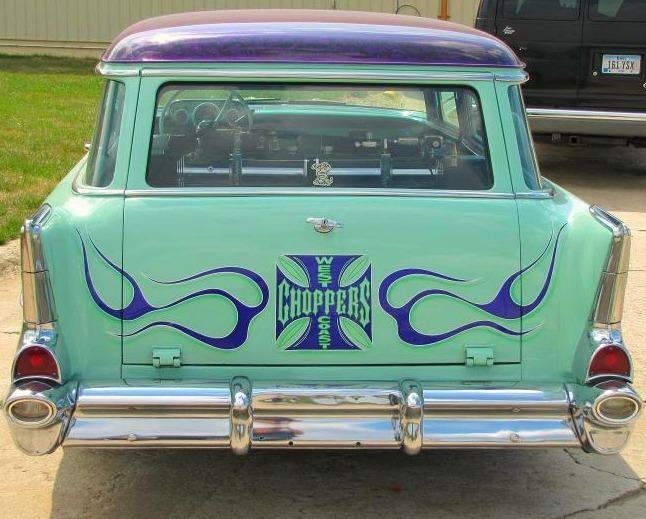 It was not a motorcycle but the familiar 1957 Chevy 210 "Handy Man" Station Wagon that served as West Coast Choppers builder supreme Jess James' canvas when he created this "low-rider" custom. On display for several years at the National Motorcycle Museum the car will be at auction at Mecum's Kansas City sale December 6-8, 2012. The car will be on the auction block Friday December 7 at 3:05 pm. 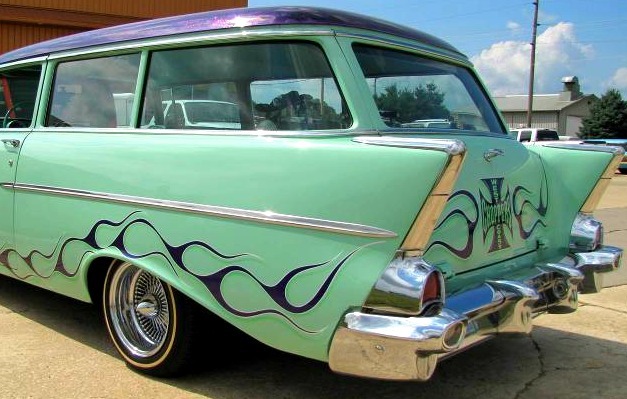 James began with a very solid 1957 two-door wagon retaining its incredibly fine stock, original factory deluxe interior and straight six engine with three speed, column shift transmission. But it's the paint, (especially on the roof!) and what's in the trunk that counts with this car. 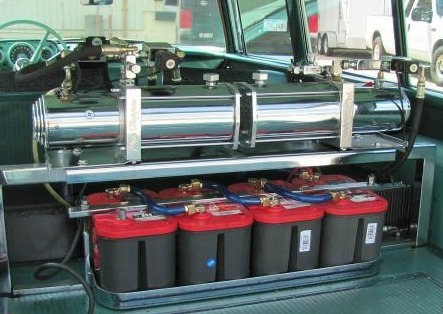 A powerful hydraulic ram system, independent at each corner of the car, allows any combination of ride height and rake. All the chromed out suspension operating equipment is racked in the luggage area, all on view through the rear windows. Base mint green paint is new. 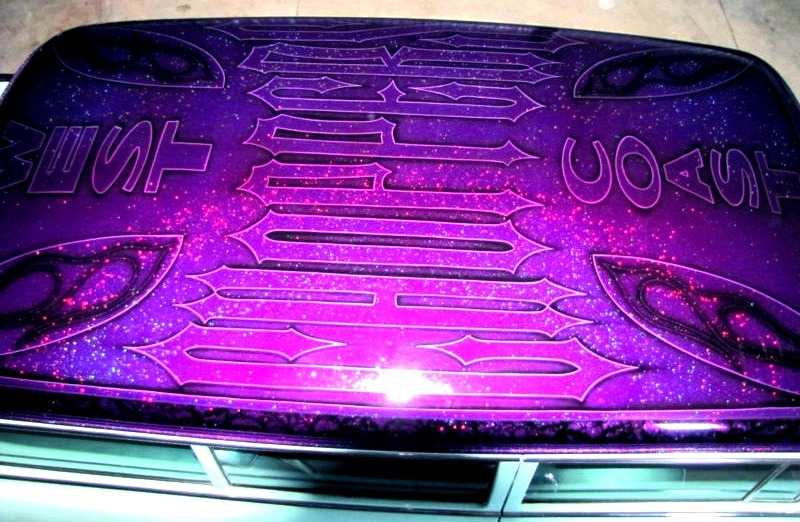 Violet-purple flames with pin-stripes all new. Straight pull chrome wire wheels and narrow white walls are in excellent condition. Car runs and drives fine and was registered in 2012, now shows only 65,470 miles on the odometer. 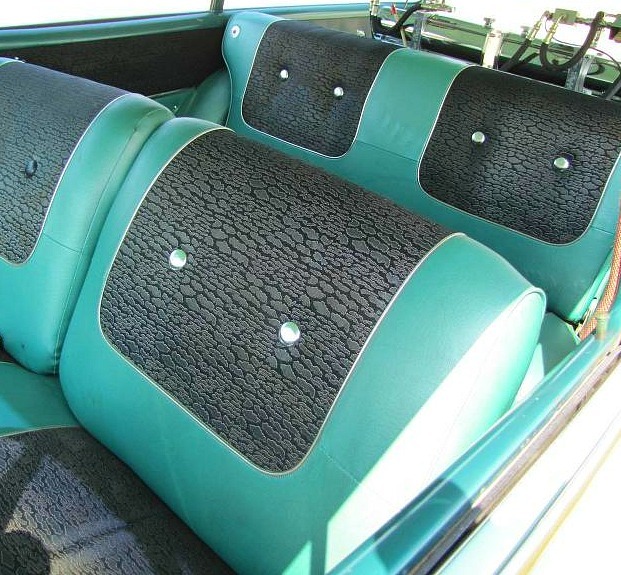 Production records show less than 18,000 of this 1957 Chevy Handyman model were built. 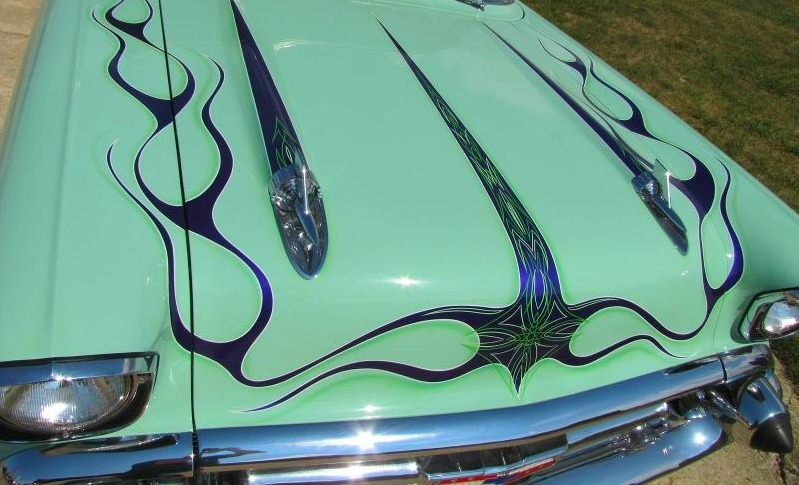 A prime year for Chevrolet design, this car will always serve as a reminder of Jesse James' flare for customizing. 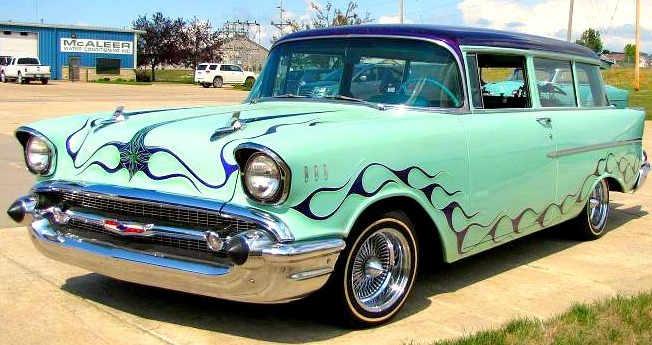 Search this car on the Mecum Auction site and be ready to bid when it is on the auction block at 3:05pm this Friday. For more information from the owner, call Jeff at 319 480 2572.